Jenna Lorente, a second-year Kinesiology student, died at her home on April 8. She was 19. Flags were lowered to half-mast on campus in recognition of her passing. 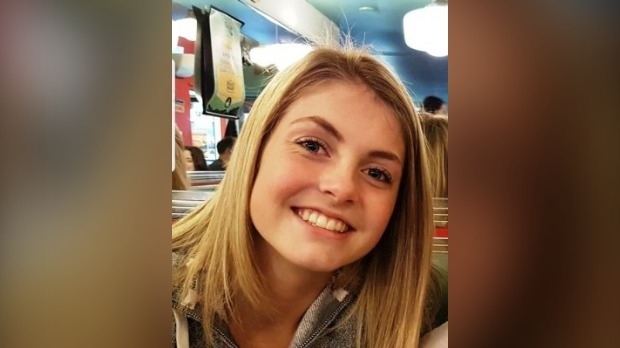 “In lieu of flowers, Jenna’s family is requesting donations for the Canadian Mental Health Association of Midland for suicide prevention,” a press release from the university says. Lorente’s death comes days after a student at the University of Waterloo passed away on campus. A Brantford man killed in a shooting late last week is being remembered by family. The shooting happened on William Street Friday at around 11:30 p.m. A neighbour says they heard him calling for help and it sounded like he was in pain. Gerald Robert Male, known as Rob to his sister Larissa Miller, was pronounced dead in hospital. The Tories peg the current deficit at $11.7 billion, and they don't expect to eliminate the red ink until 2023-24. It constrains spending growth -- and shows cuts in post-secondary and social services -- but the $163.4 billion package is still nearly $5 billion larger than the last budget from the previous Liberal government, who the Progressive Conservatives often slam for their spending habits. It’s not a done deal yet, but a proposed safe consumption site in Kitchener has taken a big step towards being approved. The region’s community services committee voted to move ahead with the proposed site at 150 Duke Street West on Tuesday after a day of emotional delegates. Otis has been a bachelor since he lost his mate in 2012. On April 5, he returned to Victoria Park with a new mate. City officials say she's around three or four years old, but they're not exactly sure of her age. The pair were accompanied by a third swan, a trumpeter, but are unsure where it came from. The city is looking to the public to come up with a name for Otis' new partner, with a four-pack of swim passes to give away as a prize.